A beacon is set ablaze at the edge of the city of Argos—Troy has been captured and the Greek army will return victorious. Ten war-torn years have passed since the Greek fleet sailed from the shores of Aulis on winds conjured by the goddess Artemis in exchange for the bloody sacrifice of King Agamemnon’s eldest daughter, Iphigenia. Inside the walls of Argos, Agamemnon’s wife, Clytemnestra, orchestrates an unexpected welcome for her King as she patiently awaits his fateful return to a house torn apart by horror and sorrow. Featuring a world premiere adaptation by renowned scholar and Founding Artistic Director Nicholas Rudall, Agamemnon delivers the second installment of Court’s groundbreaking Greek Cycle. 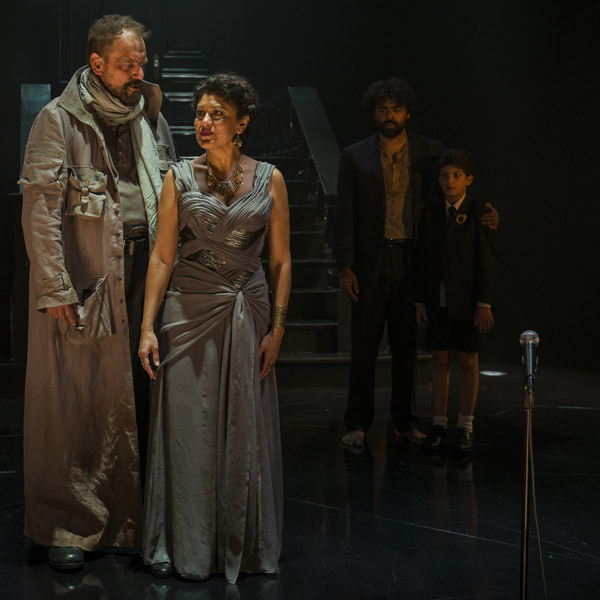 Actors Sandra Marquez (Clytemnestra) and Mark Montgomery (Agamemnon) return to resume the harrowing tale of the House of Atreus following last season’s incredible Iphigenia in Aulis.